MTG has increased its stake in eSports business Turtle Entertainment and has announced that it will write-down the value of Zoomin.TV by SEK169 million ($18 million) in its Q3 results. In a statement released Friday, MTG said that it has paid roughly SEK152 million ($17 million) to up its stake in Turtle Entertainment – which operates the ESL brand – from 74% to 82.48%. At the same time, MTG said it was writing down the assets of its online video network Zoomin.TV after a thorough review of the business. This came after MTG upped its stake in Zoomin.TV from 51% to 100% in May. MTG meanwhile acquired a 74% majority stake in Turtle Entertainment in 2015. 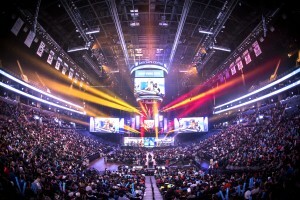 The company operates tournaments such as ESL One and the Intel Extreme Masters, and online leagues such as ESL Pro League.